An active subscription is required to view this premium content. Sign up now to access the premium DFS tools and real-time analytics for all sports. 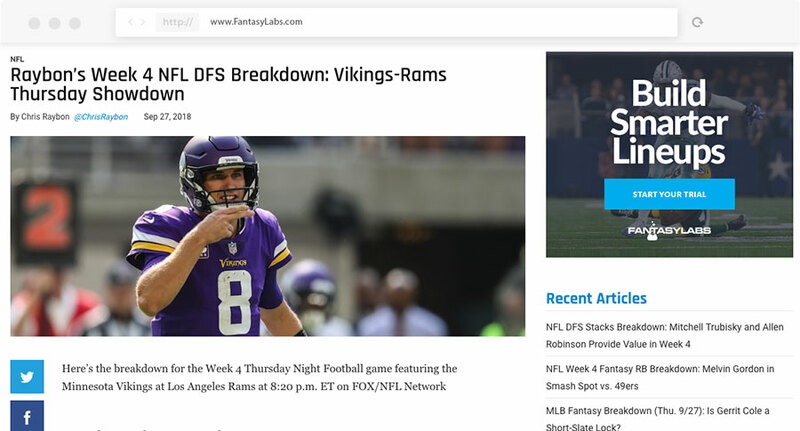 Pro DFS players provide lineup reviews, model previews and in-depth fantasy strategy content to help you improve your game.